If you would like to be featured on my blog as a part of this series, just shoot me an email! 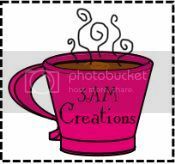 :) Today, I'm featuring the fabulous Amy from 3AM Creations...read on to find out more! my Master's degree in Elementary Administration. 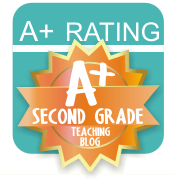 at their own independent levels in all areas of the classroom. "if I made it through those days... I can make it today"! when they first walked or used the potty for the first time! year (mysalary last year was non-existant due to medical bills and daycare). Thank you for introducing us to Amy. 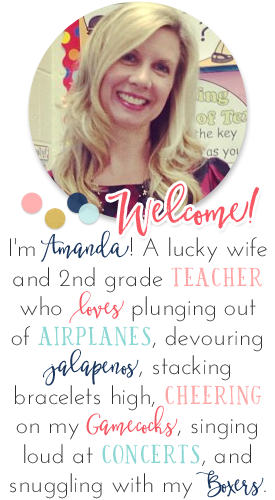 She is pretty dang great (her and I have already chatted a bit via blogs). 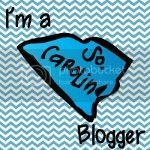 I would LOVE to be on you budding blogger wait list! I have a question for you too...How is the world did you get SO MANY followers in such a short time?